In this day and age, death is feared more often than it is celebrated. But back in the Victorian era, even though death was still frightening to our ancestors, it was also glorified in some particularly morbid ways. Victorian era mourning photos that sometimes captured the corpses of the recently deceased amongst the living, are just one strange way our ancestors celebrated the death of their family members. And even though it was considered normal back then, it just seems creepy to us today. You may have even stumbled upon photos like these while researching your family history, only to be left feeling spooked! 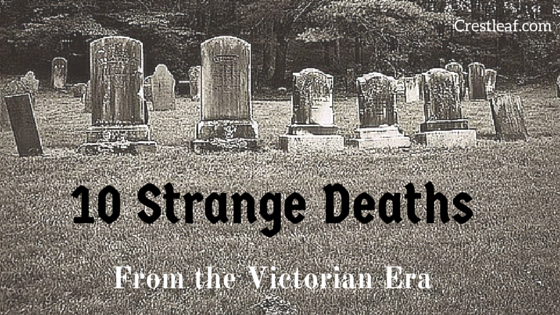 In addition to their peculiar obsession with death and dying, some of our Victorian ancestors passed away under strange circumstances, as well. These 10 bizarre deaths from the Victorian era will make you scratch your head in disbelief. According to the Liverpool Daily Post, doctors were baffled when a 30-year-old woman fell incredibly ill. They asked permission from relatives to carry out a post mortem in order to uncover the cause. They were shocked by what they found — a two-pound, sold lump of human hair. The hair caused ulceration of the stomach, resulting in this woman’s bizarre death in 1889. In 1893, a Laurel, Indiana farmer by the name of Wesley Parsons was joking around with friends when he couldn’t stop himself from fits of uncontrollable laughter. Mr. Parsons laughed nonstop for an entire hour, which then caused him to hiccup uncontrollably. This made him so exhausted, he keeled over. On October 22, 1844, Jane Goodwin fell ill while sitting in church. Some helpful church-goers decided to carry her to the sexton’s house where she died because her corset was too tightly laced. Jane was only 22. Back in 1870, a wealthy and eccentric Iranian woman was breeding and buying as many cats as she could handle. Unfortunately, a fire broke out in her home causing the woman’s beloved cats to become trapped behind a door. When her maids opened the door to set them free, the cats were so frightened by the fire, that they flew into the young maids, tearing, scratching and biting at them causing the women to die premature deaths. In 1891 Russia, there was once a bear that had a taste for vodka. One day, the bear busted into a tavern where it snatched a keg of its favorite drink. The inn’s owner, Isaack Rabbanovitch, attempted to take back the keg from the bear, infuriating it to the point that it hugged Mr. Rabbanovitch to death, as well as his two sons and daughter. The bear also met its demise that day when it was shot by villagers. According to the Yorkshire Evening Post, Edwin Clayton died in 1904 when he accidentally swallowed his false teeth. A doctor found that the teeth were caught behind the claque of his throat. The location of the teeth made Mr. Clayton vomit and the fluid wound up in his lungs, suffocating him. In 1868, the wealthy Eliza Coulson fell to her death after feasting on dubious dumplings and beef that had gone bad. Though food poisoning still occurs today, deaths such as these are not as common thanks to federal food laws and regulations. Back in 1889, Sarah Ann Koyton got into a quarrel with her neighbor over a washing line. Because Sarah was so passionate and excited about her cause, she ended up dying suddenly due to what could’ve been high blood pressure. Unfortunately, children aren’t exempt from death. And in this case, a child namedMullins was mauled by a pig, which caused him to die on December 2, 1873. Even more bizarre? According to the Yorkshire Post, this untimely death was preceded by another fatal pig-mauling accident at the same location, in the same month. 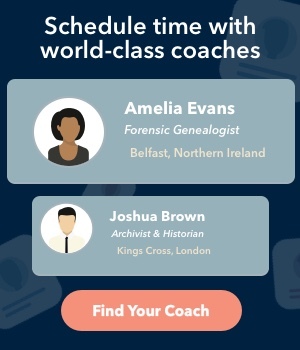 Have you stumbled upon any strange deaths of your ancestors while researching your family’s history? Let us know in the comments! This entry was posted in Genealogy Fun and tagged strange Victorian deaths, strange Victorian photoson June 16, 2015 by Natalie L..